Too many conflicting clues, and no clever detail I can seize – I am pretty sure it’s in the USA, in an area that doesn’t get snow all that often, but is not in a hot zone either; mountains look like Western arid ones; houses with brick chimneys and hip roofs whisper “east”; evidence of abandoned building sites; I can’t quite settle on exactly what the sports complex is (the lighting with those two towers on one side only?? ); strange combination of urban density and urban sprawl (along with the odd-shaped lorries in the parking lot) almost give hints it’s not even North American. My wild guess, with a pretty broad stroke – somewhere in the Logan-Salt-Lake-Provo corridor of Utah. Or Tennessee. Or West Virginia. Or Kentucky. Or . . . Portugal. A hunch that might just be a wild hair, I believe this is a photo of a section of Boise. Ulaanbaatar is my best guess, though even if I’m right, I’ve not been able to narrow it down any more than this and have now stayed up *way* past my bedtime trying. The soccer stadium, weather, English, and mountains pointed to somewhere in Europe, but there seemed to be little to indicate precisely where. The best clue was something that forced me to do my research from my smartphone rather than my office computer, a small sign that appeared to say “VIP Massage.” It took some time to realize that the sign was in fact a reflection of the roadside billboard rather than a sign on the building, meaning searches for an establishment named “VIP Massage” were unlikely to bear fruit. Eventually I came across a Relax Center VIP Massage located in Pristina, Kosovo (I don’t remember exactly what search provided this and was searching incognito) which seemed legit enough to have a billboard, so I took a look at the city. Minarets. Again. I could not believe my eyes. Antalya. Then Dakar. Now this. However, as luck would have it, this time there was no need to review one hundred mosques, nor to look for stadiums in Islamic countries, thanks to the Relax Center VIP Massage and to its easily readable shop sign. So … we’ve got mountainous terrain, snow, and lots of minarets. Where do you have Muslims in cold mountains? Latin letters instead of Cyrillic rules out the former Soviet Union, so I spent a long time looking at soccer stadiums in forlorn inland regions of Turkey. That got me precisely nowhere. But can’t say what it is, aside from that it’s on Ahmet Krasniqi. This week we are in Pristina, Kosovo just south of NATO Kosovo Force’s (KFOR) headquarters and about a 25-minute walk to the Statute of Bill Clinton on Bill Clinton Boulevard. Given the hills, snow, and mosques, I looked at every football stadium with a 10,000 to 30,000 seating capacity in Turkey, Bosnia, and Albania. Then I checked the ones in Kosovo. The stadium in the center of the picture is the Pristina City Stadium, home to FC Prishtina. The weird roof encroaching on the view from the right is the communist era Palace of Youth and Sport. As for the window’s location, I couldn’t find a street address. 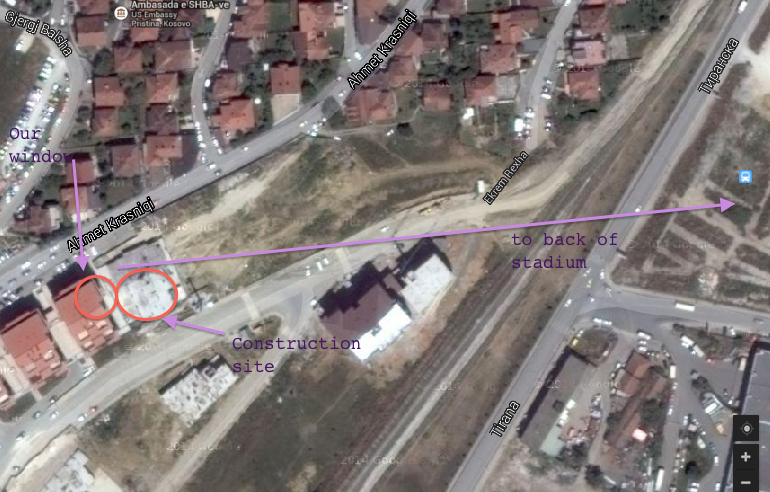 The best I have is Street Ahmet Krasniqi in Prishtinë’s Arbëri neighborhood (or coordinates 42.660684, 21.150451). 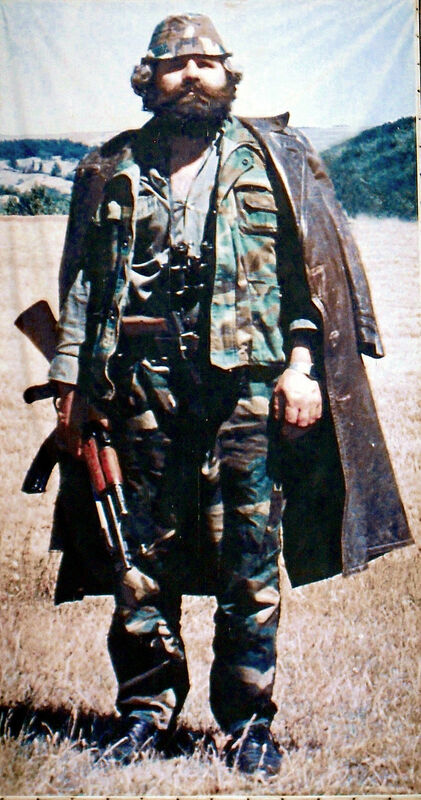 (The street is named in memory of Colonel Ahmet Krasniqi who defected from the Milosevic’s Yugoslavian army and organized a militia group fighting for Kosovo’s independence before internal purges led to his 1998 murder in Tirana, Albania (see NYTimes article here)). The window is on the northeast side of the northeastern most building within the City Front Apartments development, a series of five mostly residential buildings. Alternatively, this zoning map of unknown provenance shows the City Front development as Arbëri 3, Prishtinë, Block C1. 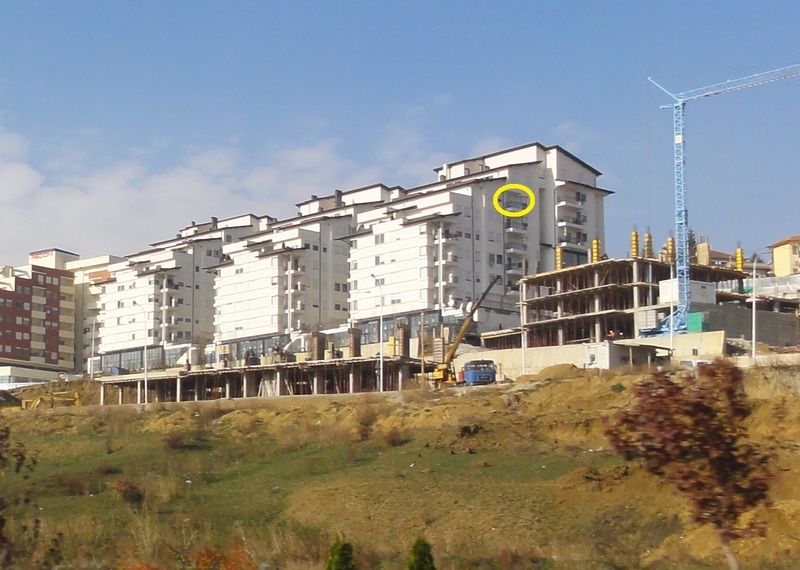 That means the construction in the contest picture’s foreground is the Redoni Apartments. After giving up on finding the building’s street address, I searched for pictures taken nearby. The presence of Five Star Fitness in the next-door City Front building caused one particular search engines to display an avalanche of beefcake selfies (like this guy; and, yes Sully, he has a beard). 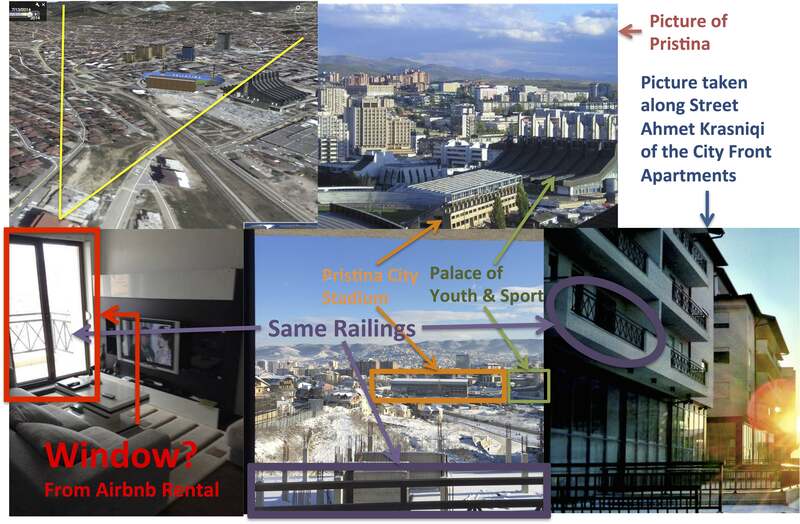 But I did find a picture of the City Front buildings taken on Street Ahmet Krasniqi facing away from the Pristina City Stadium. 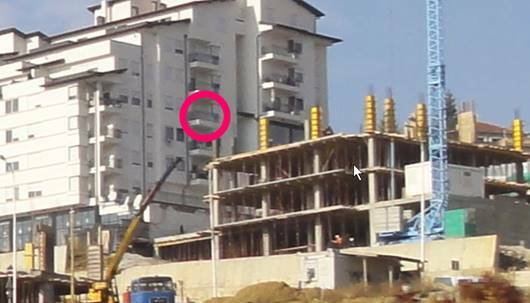 It shows that the development’s balconies have the same railings as those shown in the contest picture. Looking for apartments for rent in the City Front buildings returned this Airbnb rental. Although airbnb’s map places the apartment a couple of blocks away, I think this is the apartment with the contest window. I’m guessing that Airbnb blurred the exact location. This week’s photo took me back to 1988, when I took some time off from my job at the U.S. Embassy in Rome and drove through Greece and what was then Yugoslavia. It would be another year before civil war broke out and Yugoslavia fell apart, but there had already been demonstrations and violence and the country was tense. Two memories of Pristina, Kosovo stand out in my mind: getting stopped by the cops, who seemed curious about what an American diplomat was doing driving around in Kosovo, and the bizarre and massive Palace of Youth and Sports, part of which is visible in the right-hand corner of the contest photo, which seemed both out of place and out of scale. Between my faux Russian and the cops’ faux English, I thought I satisfied them that I was just a tourist and not on some mission for the CIA. As I drove on through Kosovo and into Bosnia, though, I couldn’t shake the feeling I was being followed. Later that night, in my hotel in Mostar, five uniformed officers of some sort materialized between the time I checked in and retrieved the luggage from my car, followed me up the stairs and planted themselves in the room next to mine. I couldn’t decide if they were spying on me or just needed a place to goof off and play cards. I didn’t sleep a wink that night. I haven’t had the time to really look for one of these in a while. Work has been a lot more busy and with two kids under 3, I haven’t had much time on Sundays to search. 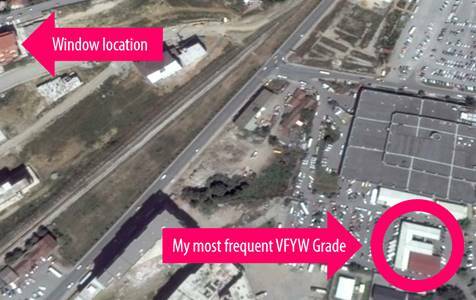 But today, my wife was looking at The Dish on my phone and left the VFYW contest open. 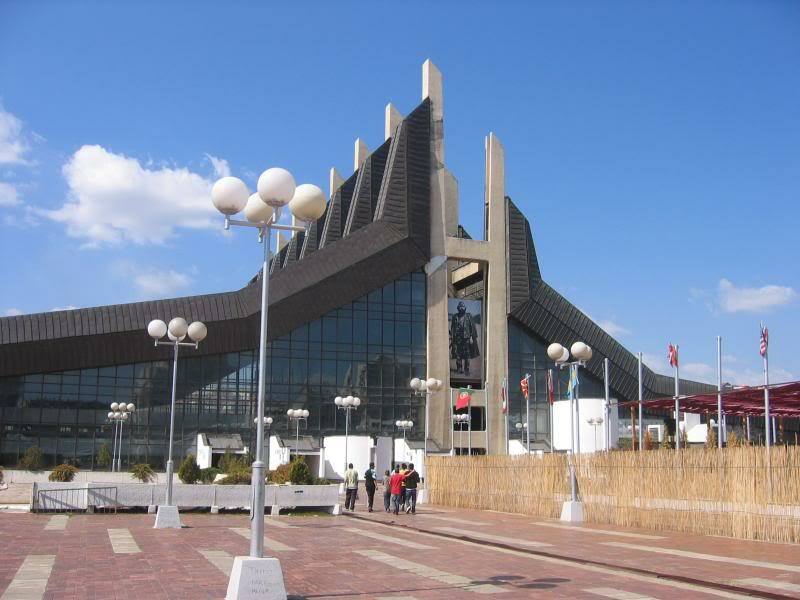 In about half a minute I recognized Pristina – the Youth and Sports Center roof was the give away. I spent 12 of the hardest months of my life between Belgrade, Pristina, Pejë (Peć), and the Kukes border in Albania. 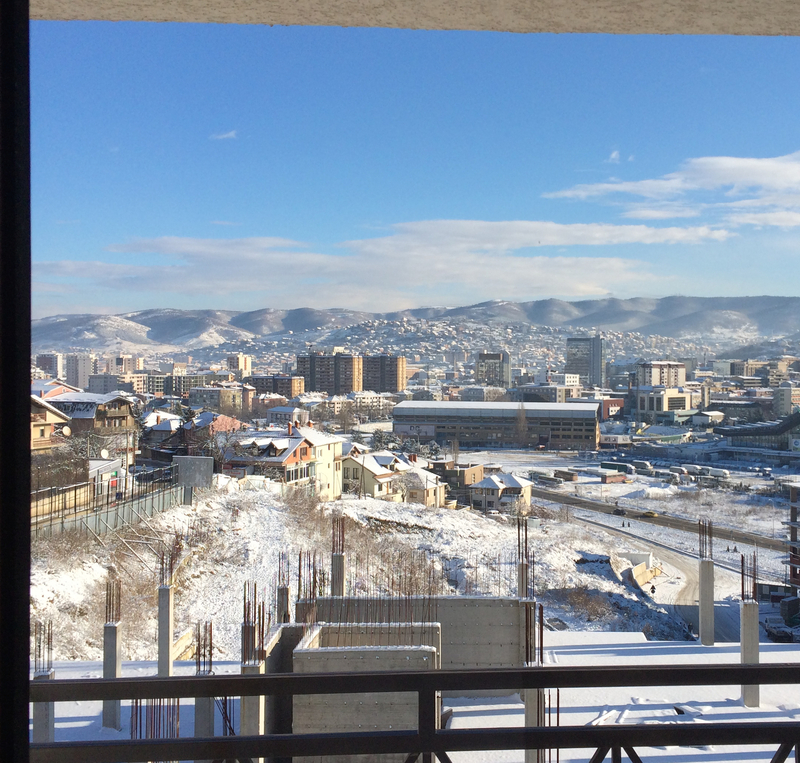 I moved to Pristina in the ’90s, when things were heating up but it was still part of Serbia. Then we evacuated because NATO was about to bomb. Lots of memories. Two that stick with me: standing on the border on the Albanian side drinking a cola while watching NATO plans fly overhead and drop bombs. Surreal. And standing at the same border late one night and realizing the refugees were from Pejë when out of the crowd a refugee came up and called me by name. It made it a much more personal conflict. I suppose those aren’t even Pristina memories. Ha. What do I remember about Pristina? Bone jarring cold in winter, excellent Turkish coffee. Cigarettes that smelled like 100% tar. Damn fine homemade raki – rice vodka if I remember correctly. I’ve been back a couple of times and my best friend still works there with the EU. I’m glad I worked there when I did, it taught me a lot about myself. But I’m still unsettled by it all, and still surprised I supported the bombing before it started. Snow cover. Distinctly eastern European buses in the parking lot and socialist architecture in the angle-roofed building on the right. And then the key detail: a minaret (I missed one in the Turkey competition a few weeks ago). It looked like but didn’t quite match my recollection of Sarajevo (the Olympic stadium is different) and maps confirmed it wasn’t. Medium-sized city in former Yugoslavia with a large Muslim population? 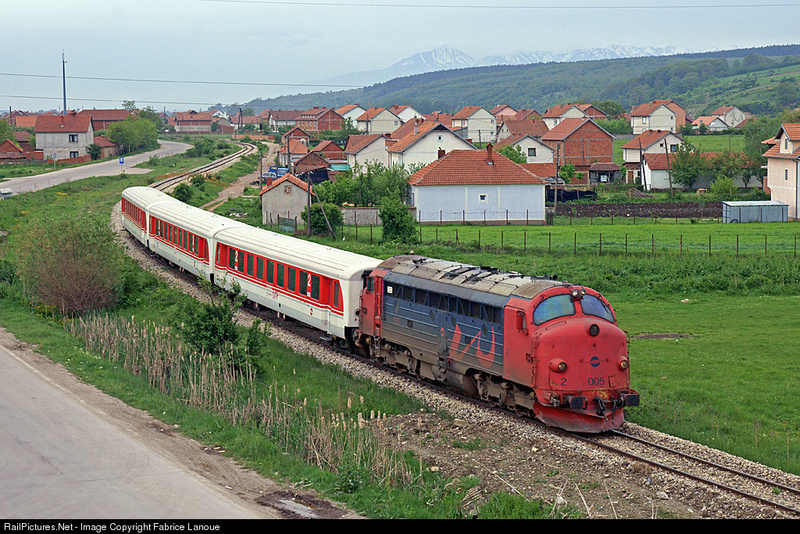 Next guess, Pristina. First picture showed the theater with the angled roof. From then on it was easy-ish. Found the right building. No streetview so had to use Google Panorama but found something close enough below. No addresses so I resorted to the Facebook Group “Why We Study Eastern Europe.” Success! Thanks to the members there for letting me post occasionally. The prize, if I get it, goes to the founder of the group and my new acquaintance in Pristina. As for the window? Triangulation says the middle balcony of this bloc of flats. The floor depends on whether they added another floor since this picture was taken. I’m going to guess no but I may be wrong. An A for this one. The correct window? Next Next post: What Sets Off Fundamentalists?